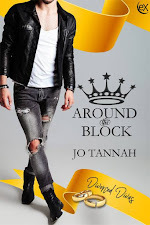 Jo Tannah's Blog: It's Release Day! As a member of a wealthy and influential family, Jaime “Jamie” Abello had his life mapped out. Being shipped off to LA with an insurance scam linked to his name was not part of his plan.It had seemed so simple: pass the Philippines Medical Board Exam;practice in the family-owned and -controlled hospital; join the Board by age forty; and find a partner with whom he could settle down and be himself.Instead, his father supplies him with a surfeit of money and dangerous secrets and sends him to a strange country.The Pediatric Residency Program Jamie applies for brings him face to face with untouchable Program Director, Miles Kwon, whom Jamie soon finds to be a man of integrity and vision.When tragedy strikes, Jamie finds himself falling deeper into depression. 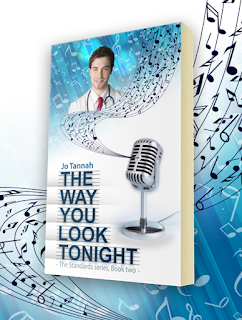 Unexpectedly, it’s Miles who helps him work through his pain.Will Jamie ever experience a life with a loving partner, or will his father’s secrets cause him to lose everything he’s gained? “Jamie, you are leaving for LA once we get you out of here. Dr. Martinez has been instructed to clear you to be released from the hospital.” My father was succinct. “Wha… why?” I tried to speak, but emesis got in the way. “Margarita. She has finally gone off the deep end. She and your brothers are meeting with the board. I sent in my resignation last night and they only just got the email. I am leaving for Morocco in two hours, and you are flying out as soon as Dr. Martinez gives you something to put a stop to your vomiting. Letty has sent all the details to your alternate email account.” I tried to sit up, confused about what was going on, but Letty pressed me back onto the bed. I squinted up at her, and then at my father. “What’s going on?” “Everything is in the email I sent you. Don’t think about anything else right now, just focus on getting well enough to stand without falling on your face. You need to take that flight. It’s going to be a long one and you’ll need your energy to get things moving,” Letty said. “Call me once you get to LA. I will send you an email with my new contact numbers.” My father sighed and ran his hand over his face. “I won’t see you for a long time, hijo, but you need to get out as quickly as you can. It’s best you don’t know anything until you get there. Letty will get in touch with you as soon as you’re settled in the hotel. Remember: get to LA and follow the instructions. Once you’re done, call me. That’s all you need to know for now.” My father leaned down to kiss my head, but wrinkled his nose and shook my hand instead. He turned to leave, then hesitated. Returning to my side, he closed his mouth, as if not daring to breathe in, and then bent to hug me. “I love you, hijo. I wish I could explain more but there’s so little time. I’ll see you on the other side,” he said as he patted my back. Then he turned away, avoiding my eyes, and left the room.